First let me start off by saying I have never owned a LG phone and I know I’m not alone, when have you ever seen anyone say ” Did you see that new LG phone that came out? I can’t wait to get it” not many. In the past the phones just looked cheap and bulky to me and there was always a better looking phone that was out at the time. LG announced the Optimus G and I’m not going to lie when I first the phone I was intrigued, the bright screen and powerful colors pooping off the screen caught my eye, it didn’t look like a typical LG phone, but a beautiful screen will not cut it with today’s consumers. Today’s consumer want it all, a beautiful screen, great battery and powerful hardware, we live on these phones and with the price being up to $600 (without a two-year contract) it needs to have it all. Can the LG Optimums give you that? This phone is a little thicker than the Galaxy S3 and has weight to it and has more of a “square” look to it. The back of the phone has a smooth feel to it, all black with a somewhat “Crystal Design” the 13MP camera is also located on the back. The screen is 4.7 inch with True HD IPS Plus LCD display, its resolution of 1280 × 768 (WXGA) and pixel density of 318 ppi give you a crisp, sharp image. The power button it located on the left side of the phone, Volume button is located on the right, charging port is on the bottom of the phone along with the mic, headset port located on the top. As I looked around on the phone I found no SD card slot, I tried to pull of the back to see if there would be a slot where the battery is, I quickly learned you can not remove the back which means if you run out of battery life I hope you have a charger with you because swapping batteries is not an option. Now the AT&T version of the Optimus G does have an expansion slot for microSD cards, don’t ask me why the Sprint version doesn’t. Using the phone in direct sunlight surprisingly didn’t affect the screen, usually I have to use one hand to block the sun to see what I’m doing , with the Optimus G that wasn’t an issue. Switching between screens was smooth and fast, no delays. 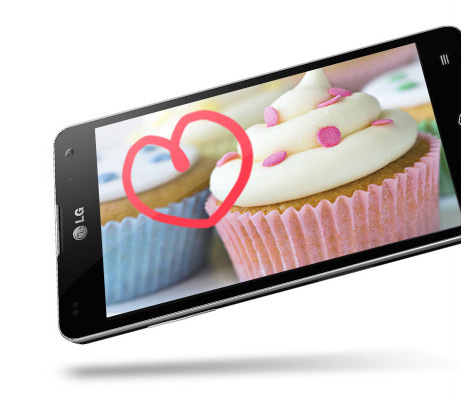 Optimus G by LG has a 1.5GHz quad-core Snapdragon processor, QUAD-core and harken, 32GB of built-in memory and 2GB of RAM. Optimus G and the Ice Cream Sandwich build, optimized by LG’s OS, with a planned upgrade upgrade to Jelly Bean, even with out Jelly Bean the phone runs smoothly and you really can’t tell it’s running on Ice Cream Sandwich. Now the Optimus G will be able on two different networks, AT&T and Sprint. I’m reviewing the Sprint model, with that being said I did have some highs and lows depending on what part of the city I was in. In Manhattan surfing the web was not an issue, I downloaded loading pictures from the web was quick and easy, switching between sites was a breeze. Now while I was in Queens (closer to Long Island) I had trouble getting on the web, it got to the point where I just waited until I got home and used Wi-Fi to surf the web, phones calls were just as bad I would get people saying “Can you hear me?” “Sit by the window so I can hear you” now mind you I live in a private house not the basement. Sprint has yet to roll out 4G LTE in my area (Still waiting). WiFi Direct and Hotspot are also available, giving you more ways of getting yourself connected. NFC (Near Field Communication) makes an appearance on the phone. The NFC capabilities of the phone are further highlighted with the two NFC+ tags that can be put on just about anywhere for a quick settings change (something like Samsung’s TecTiles). Tapping your phone over the Tag putting your phone in just the setting you like (silent mode and turning on WiFi). LG Claims Battery life is about 15 hours of talk time with over 300 hours of standby time, while the battery life was impressive for about a week while talking, texting, surfing the web, checking emails and using Xbox smartglass I got almost to the end of my day without charging (my day starts at 5am and ends at 7pm) I would charger the device at 5pm. Now after I would say a week I started to see a decline in battery life, at this point I got 6 1/2 hours before charging. On the Optimus G you have a Eco mode, similar to power saving mode in other phones, I used the mode and didn’t see much of a difference. The Optimus G camera interface lets you set the resolution, ISO, white balance, focus mode (auto, face-tracking), shot mode (normal, continuous shot, panorama or HDR), geo-tagging on/off, preset scenes, color effects and brightness. The quality of the camera is good nothing too impressive. The Camera is able to record 1080p video options for bringing down the video resolution to 720p and lower. When using the video camera, you are given the option of taking a long video or one made for messaging which are nice added features, you also have options for adding live effects if you choose to. The phone comes with a few per-loaded apps such as; Yahoo weather, SmartShare, Quick Memo, and LG Tag along with G mail and Goggle Chrome. I enjoyed the Quick Memo app, it allows you to write a message with your finger (sounds familiar)? You can share it through email, texting and online. You can also capture a screen, lets say a map and be able to write directions on it. LG Tag+ program which uses the Optimus LTE Tag’s NFC chip to communicate with special stickers that can be programmed to change your phones settings in certain locations. The only thing I did not like was how big the sticker is, it just looks tacky. Social+ is a widget that allows you to have all your social media sites in one place, Facebook and Twitter, you can also manage your friends list through this widget. This makes it easier than having to log on to site then log on another. Google Play Store is available for you to download all the apps you want that the phone didn’t come with it. The LG Optimus G is a great phone, for it being a thicker and slightly heavier than it’s competitors it feel s great in hand, I felt comfortable using it. The one thing I truly loved that LG did was not saturated the phone with per-loaded apps, it usually take a couple of minutes to delete the apps I will never use or need, LG made me feel like this was MY phone and I get to pick the apps I want on MY phone. I’m not too kin on the battery life, I live and do everything on my phone and having it die out on me after 6 1/2 hours is not a selling point for me. The 4.7 Bright Colorful screen makes watching videos enjoyable. 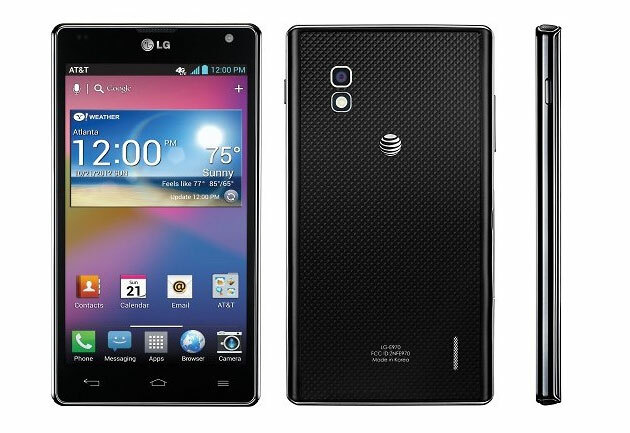 I must say LG did make a comeback now would I use this phone rather then my Galaxy Note II? No but if I didn’t have the Galaxy Note II I would pick up the Optimus G.